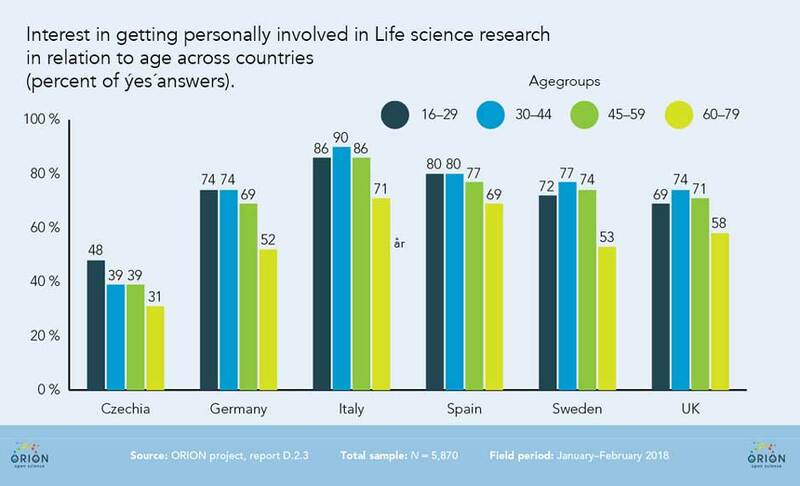 Hem » Påverkans- & utvecklingsprojekt » Orion » What do Europeans think about life sciences research? From December 2017 to February 2018, 6,000 people in six ORION partnering countries, the Czech Republic, Germany, Italy, Spain, Sweden and the United Kingdom (1000 persons/country), were asked about their attitudes to life sciences research and genome editing. They were also asked if, and in what way, they would like to be involved in life sciences research. 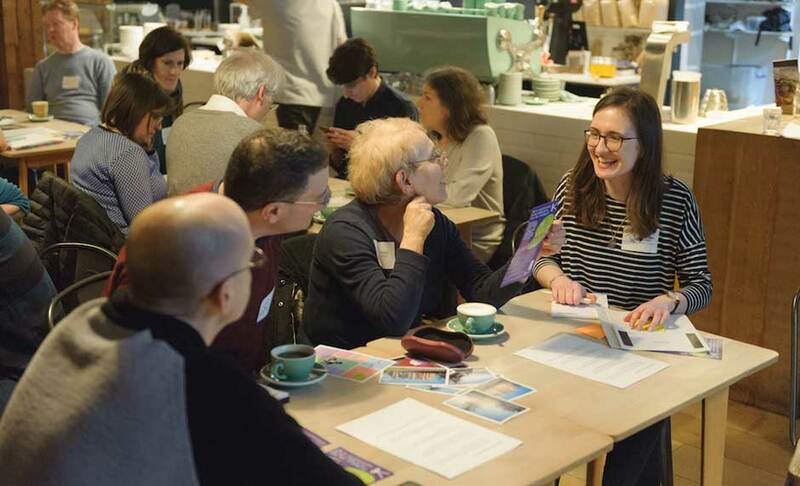 The results of the survey will feed into future actions of the ORION project, such as the design of public dialogue workshops and citizen science projects. “The aim of the ORION project is to explore ways in which research and funding organisations in life sciences and biomedicine can open up the way they fund, organise and do research. In order to fulfil our goal we need to look at the citizens’ perspective, to see in what way they would like to be involved in research“ said the ORION project coordinator Michela Bertero at CRG, Centre for Genomic Regulation in Spain. Are citizens interested in life sciences research? The report shows that interest in life sciences research is generally high among citizens. Levels of interest depend more on country of origin than any other demographic variable (age, gender, level of education, or a job related to research), with the number of respondents being fairly or very interested ranging from 52 percent (Czech Republic) to 91 percent (Italy).Respondents with high levels of interest in life sciences research also express high levels of confidence in science. Do citizens want to get involved? 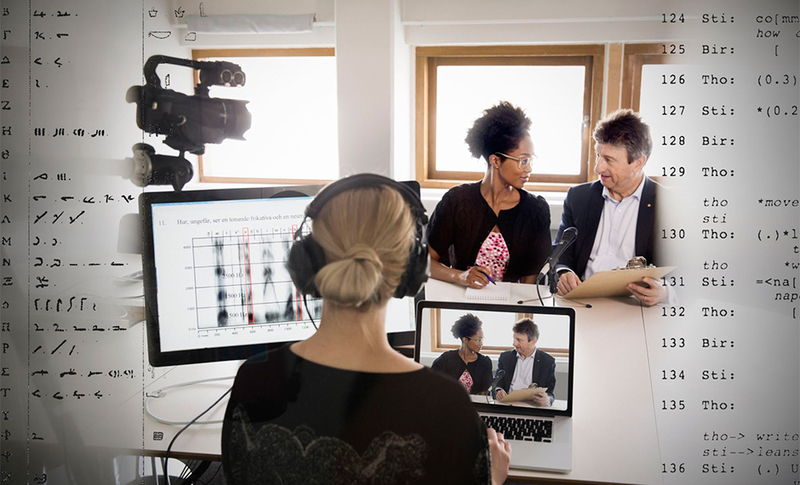 The reasons that would encourage most people to get involved in life sciences research are an interest in the research topic itself, and a belief that the research would help society. Citizens with a high interest in life sciences research are much more willing to be personally involved. The number of respondents saying that it is fairly or very important for the general public to be involved in life sciences research ranges from 68 percent (Czech Republic) to 93 percent (Italy). The positive views hold through all demographic variables. However, men tend to be more interested in being personally involved in research than women. Respondents aged between 60 and 79 years are less willing to consider personal involvement in research than younger respondents across all countries. When European citizens were asked about how they would like to get involved in life sciences research, the most attractive options were to collaborate in data collection, to give opinions on research questions/topics, to collaborate in data analysis and to donate research material. When asked more specifically about what research topics were the most interesting to get involved in, the two most popular were to understand the impact of our lifestyle on our health, and to understand how our DNA influences our health and disease. What do citizens think about genome editing? Fifty percent of the respondents had previously heard of genome editing. By country, this number ranges from 45 percent (Czech Republic and Germany) to 74 percent (Sweden). Men have heard of genome editing to a higher extent than women in all of the countries. There is higher awareness of genome editing among higher educated people in all of the countries except the Czech Republic, where no substantial differences among educational groups were found. 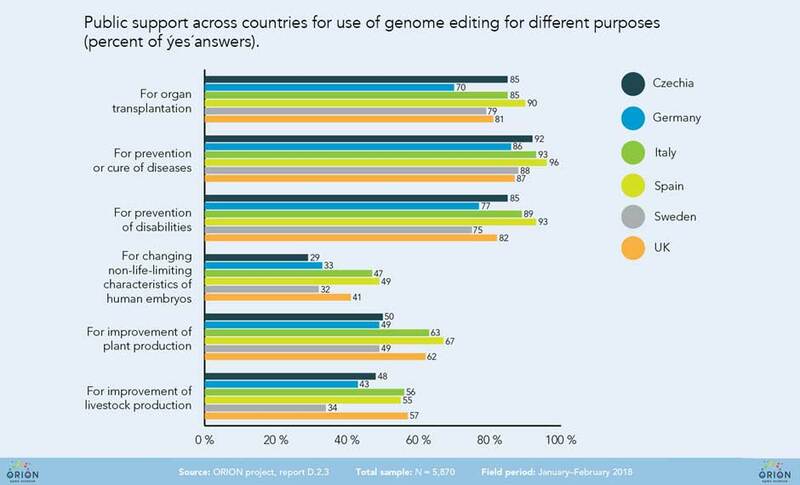 “The three most accepted purposes of genome editing in all countries are related to the medical field: prevention or cure of diseases; prevention of disabilities; and organ transplantation“ said Maria Lindholm, Director of Research at VA.
Respondents with higher levels of interest and confidence in life sciences research are more supportive of all different usages of genome editing. The largest concerns associated with genome editing are that the technique might be misused or that it might come with unexpected side-effects in humans. The vision of ORION is to “embed” Open Science and Responsible Research and Innovation (RRI) principles (ethics, gender, governance, open access, public engagement, and science education) in research funding and performing organisations. The aim with the project is to achieve institutional, cultural and behavioural change in the organisations’ policies, practices and processes. During ORION project’s lifetime, the partners will identify drivers and barriers, interests and values, and in some cases produce “prototypes”, in the form of new citizen science projects, new research strategies and new funding frameworks. Last but not least, new training material for researchers who want to open up the way they organise and do research will be developed. Methods and materials produced by ORION will be open for anyone to use and available at the project website. For more information regarding the public survey, please contact Gustav Bohlin, Researcher at VA. An executive summary of the main findings is available here. The full report is available on the ORION Open Science website. For general information about the ORION Open Science project please get in touch with Maria Hagardt, ORION Programme Manager at VA.